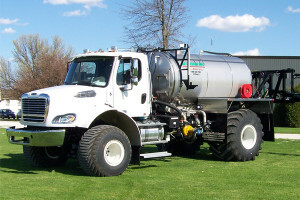 Linco-Precision “Nutri-Plier”, our line of dry and liquid truck chassis, offering the best of the best in application equipment. We build liquid systems to your specifications depending on your requirements for liquid application. 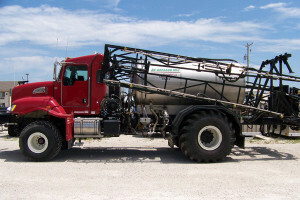 We offer spray swath from 10” to 120” centers; we are building dual-product applicator systems with dribble-boom option. Our tank capacity is from 800 gallon up to 2200 gallon with an option of dual-product split-tank systems. All of our plumbing is stainless steel TIG welded for low, medium and high-volume applications for 5 gallons to 450 gallons an acre, full-weld plumbing with several fluid pumping options, with 2.5 or 5.0 Chemical Eductor or Chemical Inductor systems, depending on your requirements. Our booms are in-house fabricated from 30’ to 100’ in all types of configurations, depending on your needs. 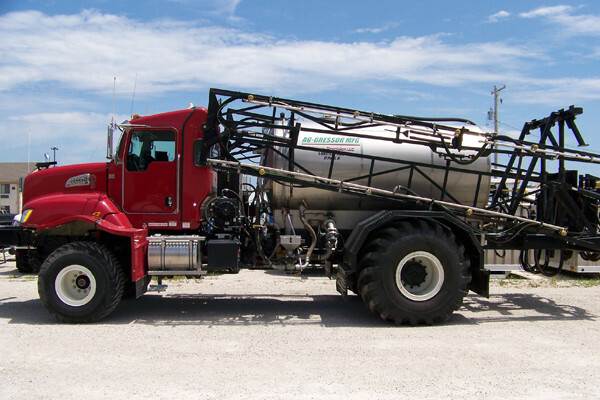 Add one of these liquid systems built for 30” or 38” row spacing on row crop tires on the our floated CAT, Freightliner, International, Kenworth, or Western Star chassis’ and have the exceptional piece of equipment built to your specific needs.